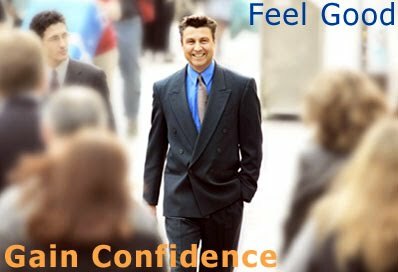 Tired of lacking confidence and find it is holding you back ? With self confidence we are talking about a range of situations from simple shyness to extreme anxiety. Whatever your situation, there does exist a pattern to your behaviour; it is not as random as it may seem. This has been learnt and is stored in the un-conscious (also known as the sub-conscious) as a program, and like a computer all programs can be re-written. By working with your patterns of thinking, hypnosis and NLP helps you to have flexibility in your behaviour, so that rather than engage in the old automated thoughts and feelings that weren't useful, you learn to literally see, hear and experience the world differently, both in the outer world and your inner world. When you gain flexibility and behavioural choice in any situation, you can gain self confidence, and you can gain freedom.